* CE EN 1078 is the European standard given to bike helmets to which the REFLECT360 helmet is certified. 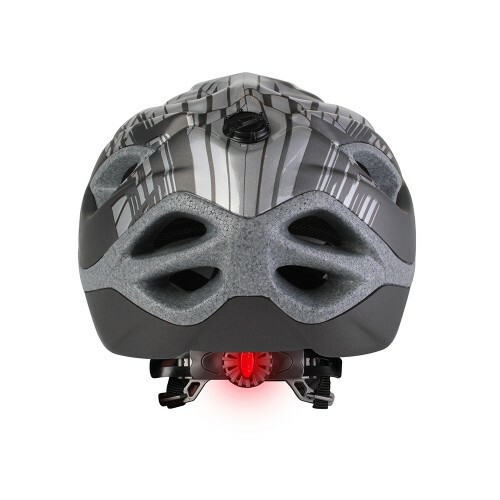 If you live outside Europe, please check whether this standard is appropriate for your market as countries often have their own requirements for cycling helmets. 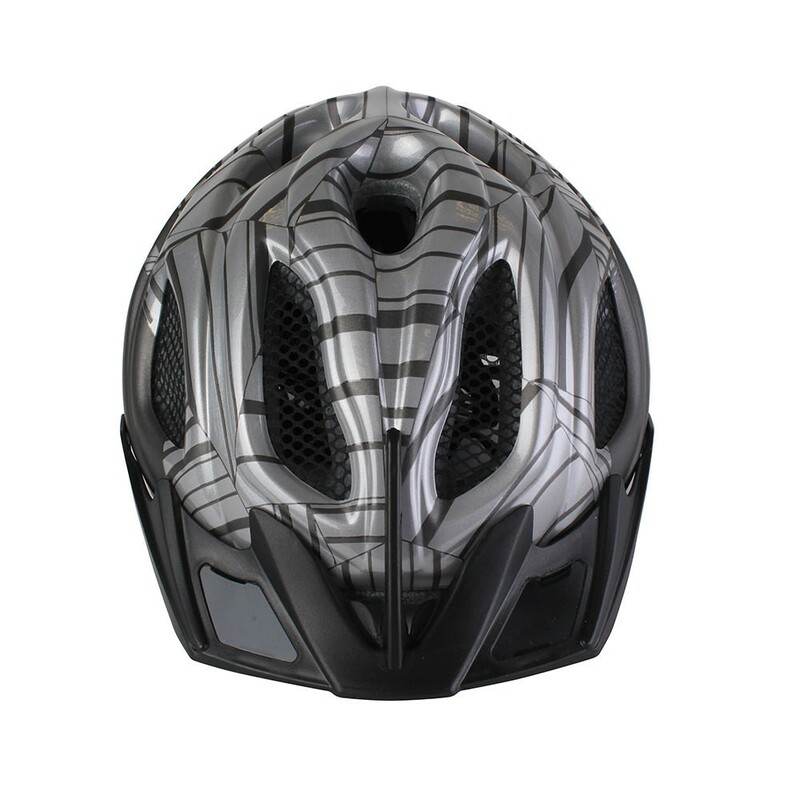 You are responsible for selecting the correct helmet for use in your country. I've really rated this helmet since I have been using it for about a year. 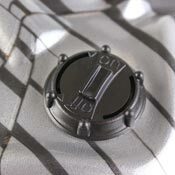 It is number one - comfortable. I've purchased a lot of lids and so many are hard round some edges with no padding. 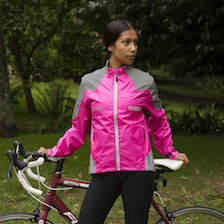 This one has nice padded part to protect! 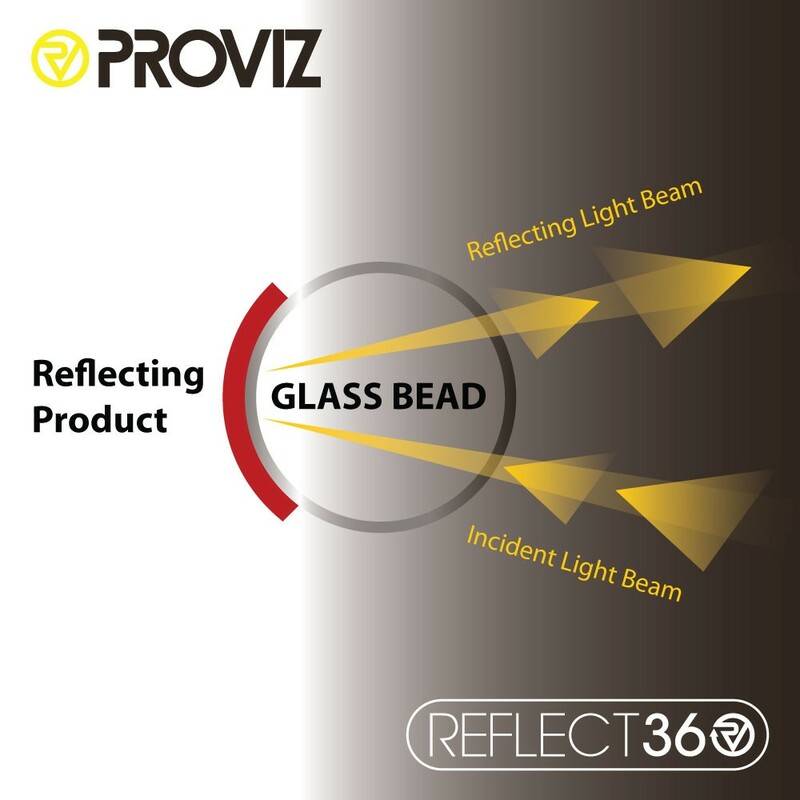 My fav - the 360 reflective bit. 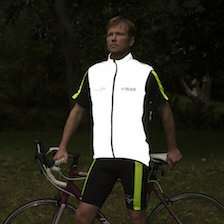 - Had positive comments from cars, lorries etc which me buy a vest too. No one can miss me now! 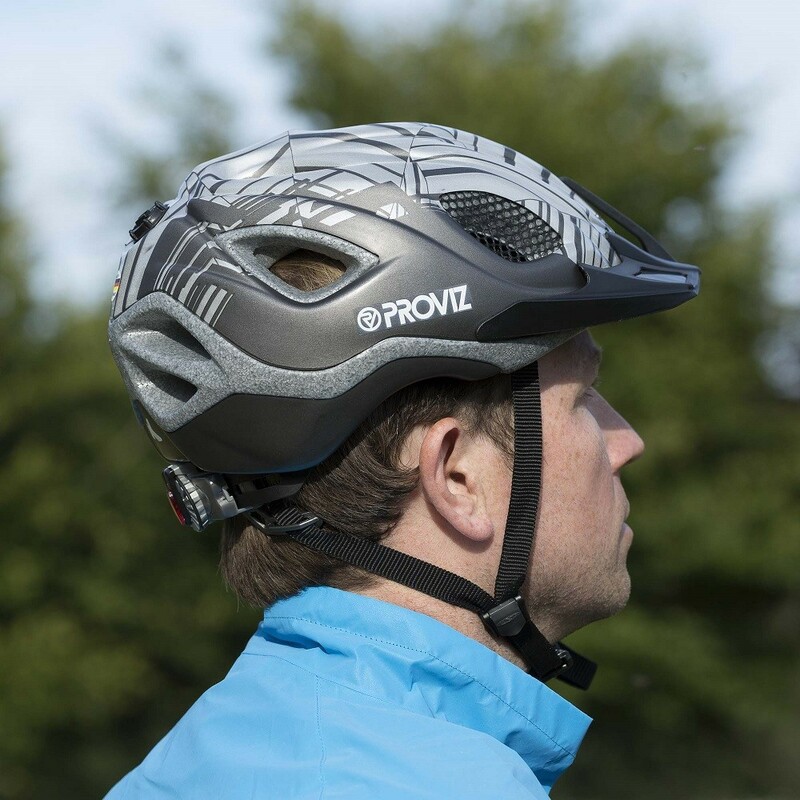 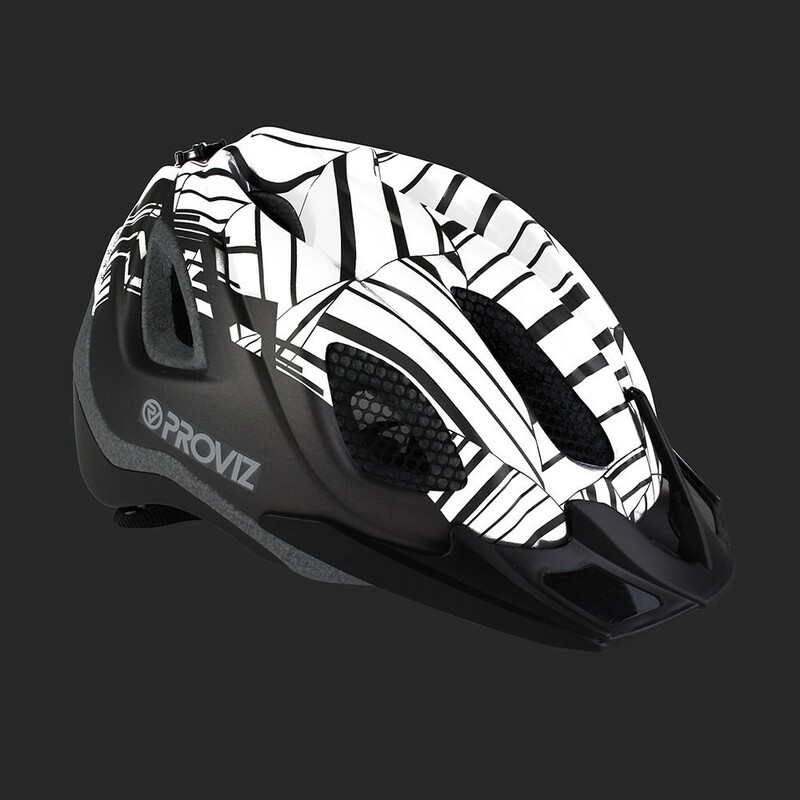 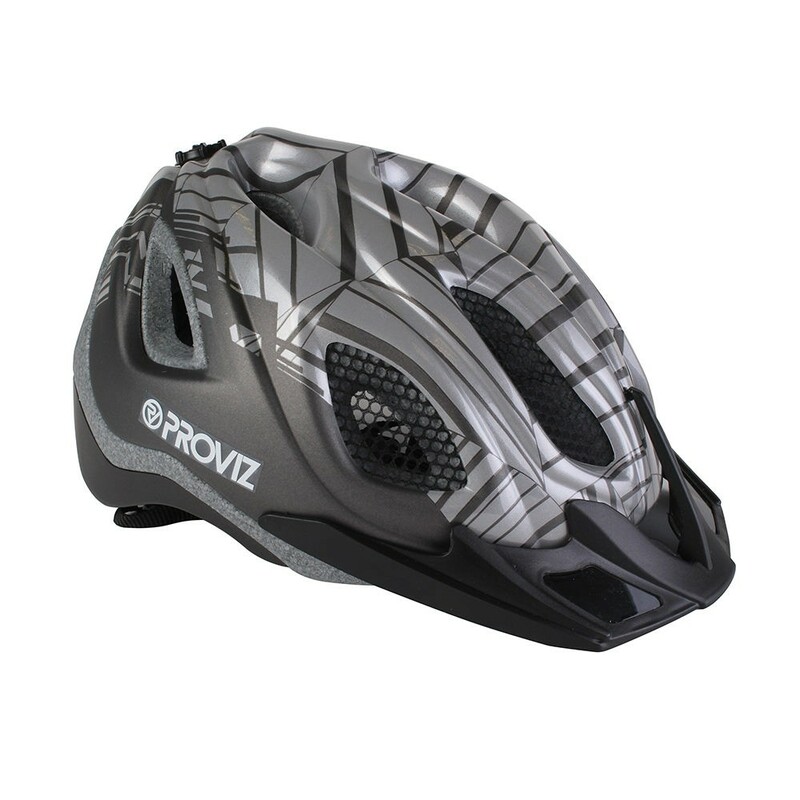 I have multiple Proviz products and I called up about two years ago and spoke to a nice customer services person and recommended a reflective helmet. 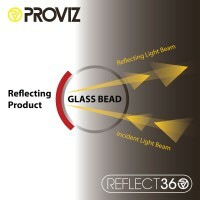 The response was 'we are working on it' - I was overjoyed to recevie an email in the autumn that the product was live! I got one for me and the mrs and we both love them. 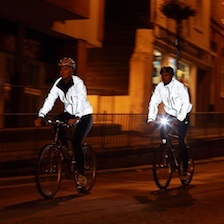 You truly feel safer with the brightness it gives at night - we tested ourselves. 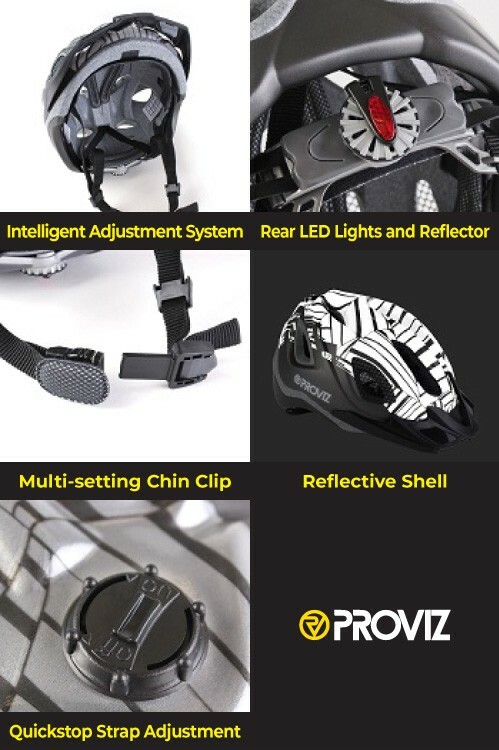 I have throughly recommended all of your gear. Posted 01/03/2017 by Sean Iv. 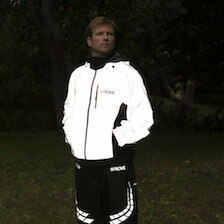 Great looking, great fitting, great reflectivity. honestly that is all that needs to be said. 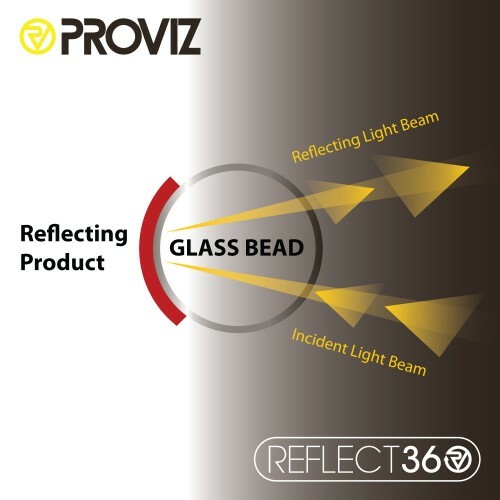 What I like most is the reflectivity - i thought it was going to have stickers on it so I was very happy to see that the light up part is concealed under a protective cover - ingenious proviz! 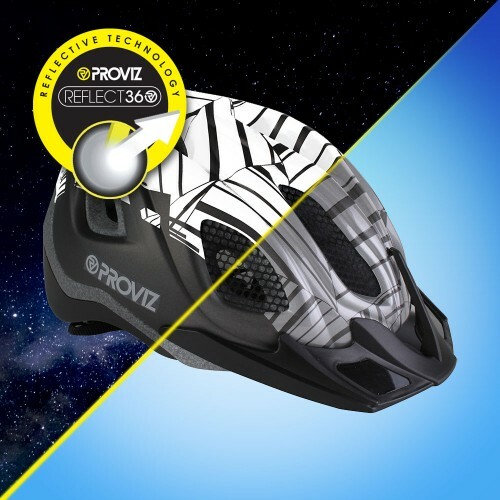 I have been waiting for this ever since I heard it was coming and it is worth the wait. 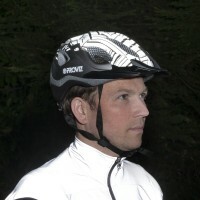 Fantastic brightness at night is the first selling point - my wife loves to show friends of the photos and is now your biggest fan as it keeps me seen at night. 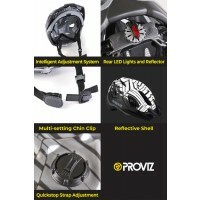 Great fit, adjustment system works very well and live the insect catcher and general build. 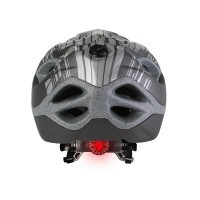 I note it is grom Germany - no wonder it is constructed well! The patented, fully reflective surface is not stuck on over the shell but incorporated in to the helmet. 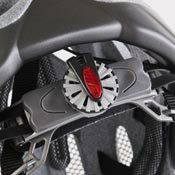 It is protected by a layer of clear plastic to help prevent damage. 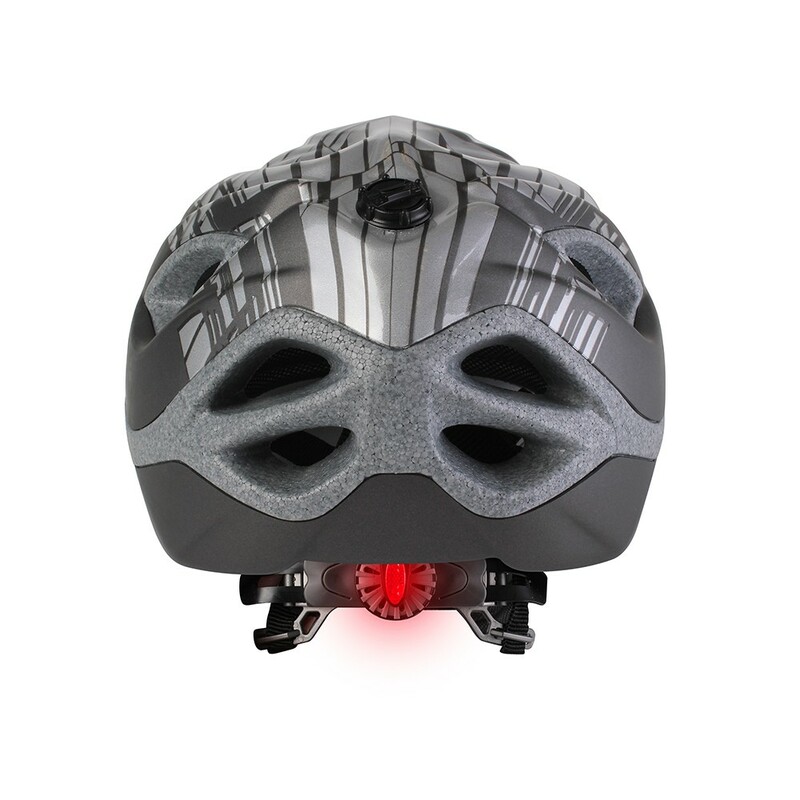 The REFLECT360 Bike Helmet has two integrated lights concealed within the rear headring and a reflector for added night visibility. The intelligent adjustment system enables you to preset the height and circumference of the helmet, meaning it can be quickly and easily adjusted to offer the perfect fit and maximum comfort. The quick release, multi-setting chin clip on the REFLECT360 Bike Helmet allows you to find the perfect strap fitting to keep you comfortable as well as safe when you are out on the bike. 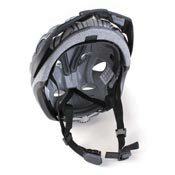 Enables the strap to be adjusted within the shell of the helmet to give you the most secure fit for your head. 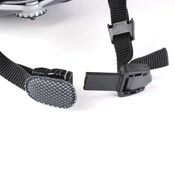 Once you have established the perfect fit, the lock keeps the strap in place.